Northumbria Optical Coatings was founded in 1995 as a management buyout from the Rolls Royce Group in Newcastle, U.K. Operating previously under the names NEI and IRD, the infrared filter tradition dates back to the 1960s. LASER COMPONENTS has represented NOC (and its previous companies) in German-speaking countries since its founding in 1982. Our German customers have appreciated NOC’s flexibility, quality, and unconditional keeping of its delivery times for years. 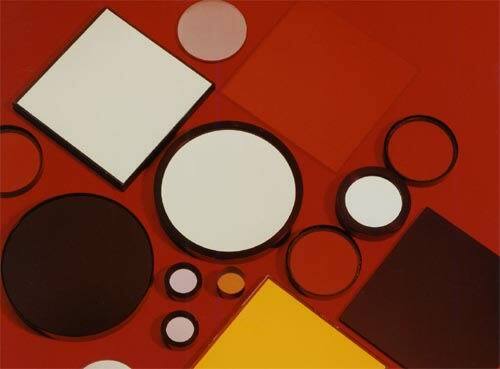 NOC manufactures bandpass and edge filters in the range between 1 and 20 µm. NOC’s bandpass filters on germanium substrates, which are primarily used in the range from 7-14 µm, have a particularly good reputation. Other substrate materials include quartz and sapphire. NOC generates a turnover of approximately GBP 1 million. Forty percent of NOC’s filters is sold on the domestic market and another thirty-five percent of its turnover is generated in Europe (not including the U.K.). NOC is investing in growth and innovation.